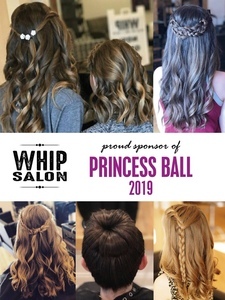 Whip Salon will be hosting a Hair Raiser on Sunday, January 27th in support of the 2019 Princess Ball. The mission of the Princess Ball is to celebrate the next generation of philanthropic girls as they dance the night away with the most important man in their life, their father. Whip Salon in both Westport and Ridgefield will be donating a portion of our service sales from both locations to this great event which is involved with multiple children's charities such as The Ella Jewell Foundation and The Molly Ann Tango Memorial Foundation of Ridgefield, just to name a few. Book your appointment now and help us to donate to this wonderful organization! Don't forget to pre-book your Princess Ball hair appointments for the day of the ball as well, space is limited. Book your appointments TODAY directly through Whip Salon at www.whipsalon.com!